Crystal Langdon is a Certified Financial Planner®, Investment Advisor Representative, Certified Kingdom Advisor, and the founder of Crystal Clear Finances, Inc. 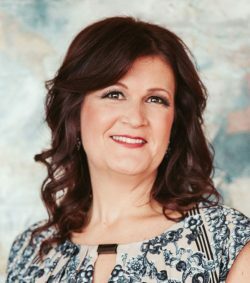 Her vast experience as an accomplished speaker, business owner, radio talk show host, author and financial planning strategist allows her to provide clarity so her clients can have confidence in every financial decision. She believes that the frustration individuals feel in regards to making major financialdecisions is due to the conflicting financial messages and noise promoted within the marketplace. Her educationally based financial planning company is dedicated to helping individuals understand the options available so they can confidently make the financial choices that are right for them. Crystal’s three step process has helped thousands of individuals experience financial clarity and reach their goals. Committed to her community, Crystal taught the First National Endowment of Financial Education for high school students in the Northeast. She has served on the board of directors for Koinonia HealthCare (Albany, NY), and for two values-based investment firms. Additionally, she has served as the Treasurer on two charitable organizations and gifting coordinator and Chairwoman for New Yorkers Family Research Foundation. Crystal is an author, has contributed to several publications with numerous articles for the New Yorkers Family Research Foundation and is quoted in the Financial Advisors ETF Financial Planning Magazine. Additionally, Crystal has been hosting a financial radio program on several stations for over twenty years. She provides a thirty-minute talk radio program and weekly Market Update Reports for the capital region of New York. Crystal runs an established agency whose impact on clients, advisors and agents is demonstrated through Radio Programs, TV Commercials, Educational Events, and her consistent appearances on the National Public Speaking Platform. She also serves as a coach for a national financial communications software company and teaches bi-weekly webinars with advisors throughout the country as well as training at their major conferences. Crystal resides in upstate New York with her husband and has three grown children. When she is not working with clients or advisors, you can find Crystal cheering on her favorite football team or kayaking.